Great news.... Rock Hendricks and I go back many years and his accomplishments are long and notable ie: Cold Blood, Marvin Gaye Jr, and much more, (including several of my albums). Rock is featured on my third single SHAKE IT DOWN (which will be released to radio on Oct 31), from my 2011 Album of the Year winning project Told Ya So. Check out the new single and the bonus Christmas track here. Rock also has his own project coming out in the new year, his first solo project in a while. I have a few licks on it, too, how could I not? After hiding out in the Bay Area session scene for a few years, Rock makes a ubiquitous comeback to radio in a big way .... keep your ears peeled for him! Gabriel's Told Ya So bounces back into the Top 50! There is a new single on the horizon from Told Ya So coming soon, as well as a bonus Christmas track FREE to fans and programmers. Details to be announced! Still hanging in there on the charts! I just opened emails from my buds Steve Oliver and Rob Tardik, both of whom I recorded with recently ... Rob's cd is out and Steve's is just hitting the streets... Proud to be on these great projects! 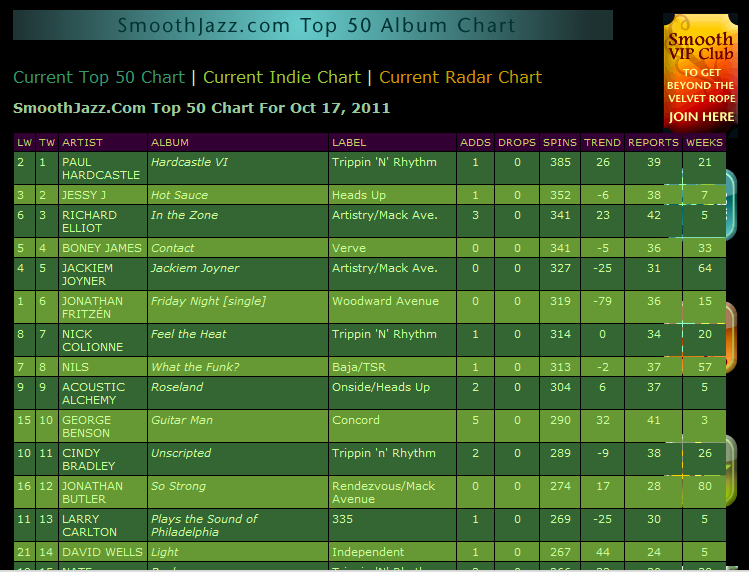 Smooth Jazz Main Charts up from 35 to 33! 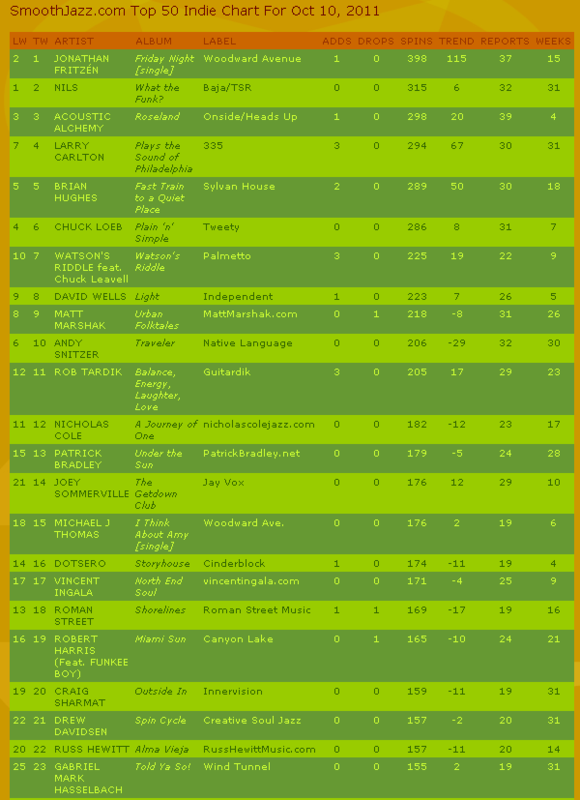 Smooth Jazz Indie Charts up from 16 to 13! Amsterdam is pretty void of jazz I am sorry to say, and the weather is brutally cold and wet!